Eliot Schrefer will be visiting Fairhope Intermediate School on March 7th at 9:30am! Eliot Schrefer will also be visiting Newton Elementary School on March 7th at 1:00pm! 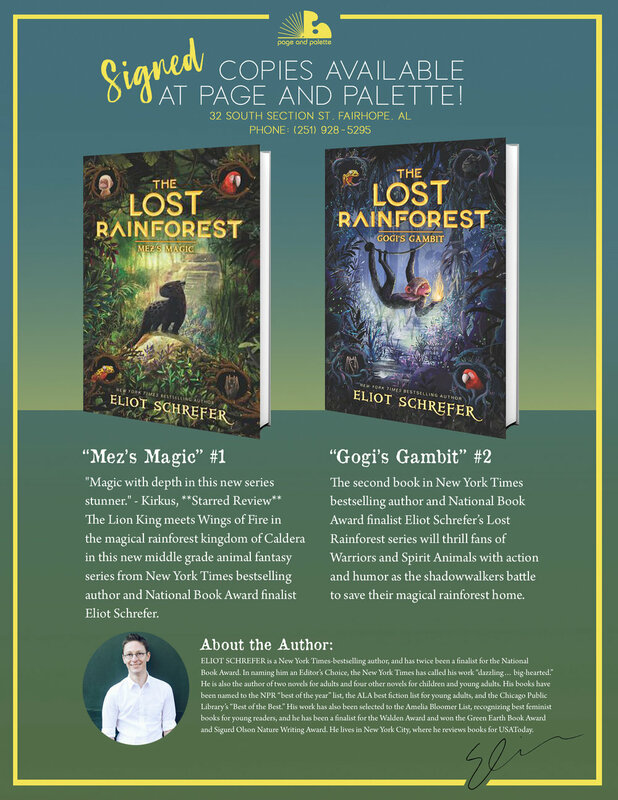 The second book in New York Times bestselling author and National Book Award finalist Eliot Schrefer’s Lost Rainforest series will thrill fans of Warriors and Spirit Animals with action and humor as the shadowwalkers battle to save their magical rainforest home.